Last week I covered how to install OpenCV 3 with Python 2.7 bindings on macOS Sierra and above. In today’s tutorial we’ll learn how to install OpenCV 3 with Python 3.5 bindings on macOS. I decided to break these install tutorials into two separate guides to keep them well organized and easy to follow. To learn how to install OpenCV 3 with Python 3.5 bindings on your macOS system, just keep reading. As I mentioned in the introduction to this post, I spent last week covering how to install OpenCV 3 with Python 2.7 bindings on macOS. Many of the steps in last week’s tutorial and today’s tutorial are very similar (and in some cases identical) so I’ve tried to trim down some of the explanations for each step to reduce redundancy. If you find any step confusing or troublesome I would suggest referring to the OpenCV 3 + Python 2.7 tutorial where I have provided more insight. 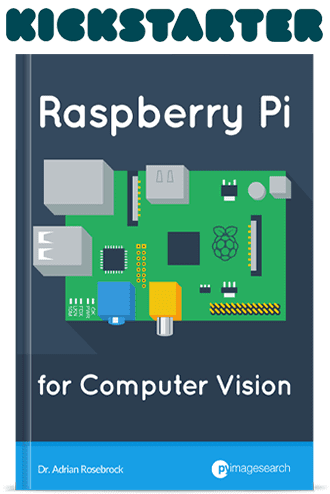 The exception to this is “Step #7: Configure OpenCV 3 and Python 3.5 via CMake on macOS” where I provide an extremely thorough walkthrough on how to configure your OpenCV build. You should pay extra special attention to this step to ensure your OpenCV build has been configured correctly. With all that said, let’s go ahead and install OpenCV 3 with Python 3.5 bindings on macOS. Before we can compile OpenCV on our system, we first need to install Xcode, Apple’s set of software development tools for the Mac Operating System. 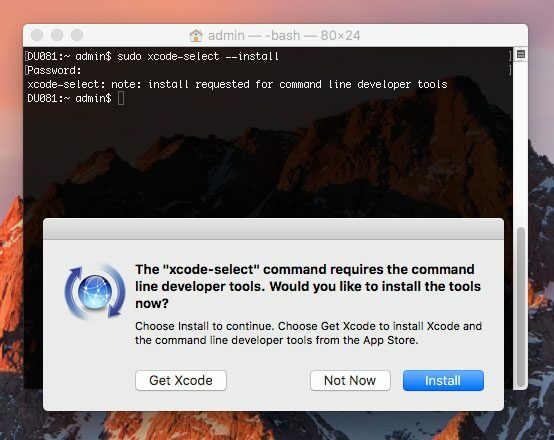 Figure 2: Installing the Apple Command Line Tools on macOS. Click the “Install” button to continue. The actual installation process should take less than 5 minutes to complete. The next step is to install Homebrew, a package manager for macOS. You can think of Homebrew as the macOS equivalent of Ubuntu/Debian-based apt-get. This export command simply updates the PATH variable to look for binaries/libraries along the Homebrew path before the system path is consulted. This command only needs to be executed once. 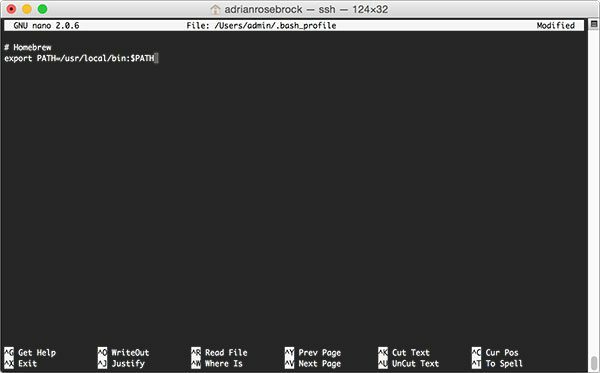 Anytime you open up a new terminal your .bash_profile will automatically be source ‘d for you. It is considered bad form to develop against the system Python as your main interpreter. The system version of Python should serve only one purpose — support system routines and operations. There is also the fact that macOS does not ship with Python 3 out of the box. Note: Make sure you don’t forget the “3” in “python3”. The above command will install Python 3.5 on your system. However, if you leave off the “3” you’ll end up installing Python 2.7. Important: Inspect this output closely. If you see /usr/local/bin/python3 then you are correctly using the Homebrew version of Python. However, if the output is /usr/bin/python3 then you are incorrectly using the system version of Python. Ensure Homebrew installed without error. Check that brew install python3 finished successfully. You have properly updated your ~/.bash_profile and reloaded the changes using source . This basically boils down to making sure your ~/.bash_profile looks like mine above in Figure 3. We’ve made good progress so far. We’ve installed a non-system version of Python 3 via Homebrew. However, let’s not stop there. Let’s install both virtualenv and virtualenvwrapper so we can create separate, independent Python environments for each project we are working on — this is considered a best practice when developing software in the Python programming language. I’ve already discussed Python virtual environments ad nauseam in previous blog posts, so if you’re curious about how they work and why we use them, please refer to the first half of this blog post. I also highly recommend reading through this excellent tutorial on the RealPython.com blog that takes a deeper dive into Python virtual environments. Figure 4: Updating your .bash_profile file to include virtualenv/virtualenvwrapper. I’ll reiterate that this command only needs to be executed once. Each time you open up a new terminal window this file will automatically be source ‘d for you. The -p python3 switch ensures that a Python 3 virtual environment is created instead of a Python 2.7 one. Again, the above command will create a Python environment named cv that is independent from all other Python environments on your system. This environment will have it’s own site-packages directory, etc., allowing you to avoid any type of library versioning issues across projects. 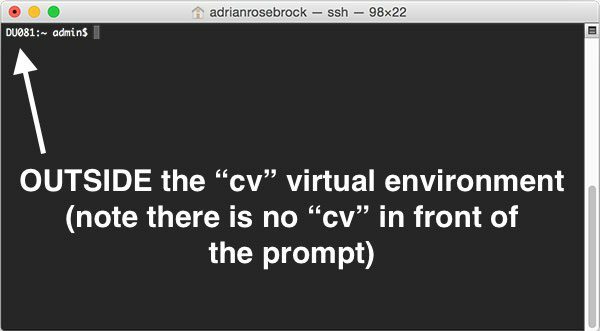 Figure 5: Make sure you see the “(cv)” text on your prompt, indicating that you are in the cv virtual environment. Figure 6: If you do not see the “(cv)” text on your prompt, then you are not in the cv virtual environment and you need to run the “workon” command to resolve this issue before continuing. If you find yourself in this situation all you need to do is utilize the workon command mentioned above. 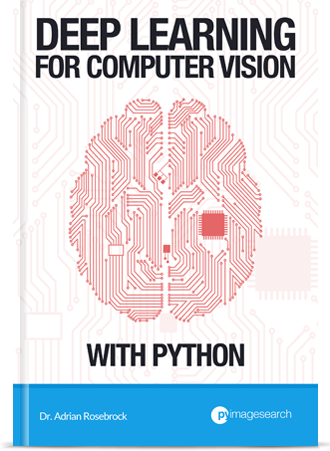 The only Python-based prerequisite that OpenCV needs is NumPy, a scientific computing package. OpenCV requires a few prerequisites to be installed before we compile it. These packages are related to either (1) tools used to build and compile, (2) libraries used for image I/O operations (i.e., loading various image file formats from disk such as JPEG, PNG, TIFF, etc.) or (3) optimization libraries. As I detailed in last week’s tutorial, OpenCV 3 on macOS needs to be compiled via the latest commit to GitHub instead of an actual tagged release (i.e., 3.0, 3.1, etc.). This is because the current tagged releases of OpenCV do not provide fixes for the QTKit vs. AVFoundation errors (please see last week’s blog post for a thorough discussion on this). This section of the tutorial is the most challenging and the one that you’ll want to pay the most attention to. First, I’ll demonstrate how to setup your build by creating the a build directory. The path to your libpython3.5.dylib file. The path to your Python.h headers for Python 3.5. I will help you find and determine the correct values for these paths. Finally, I provide a fully completed CMake command as an example. Please note that is command is specific to my machine. Your CMake command may be slightly different due to the paths specified. Please read the rest of this section for details. $ cmake -D CMAKE_BUILD_TYPE=RELEASE \ -D CMAKE_INSTALL_PREFIX=/usr/local \ -D OPENCV_EXTRA_MODULES_PATH=~/opencv_contrib/modules \ -D PYTHON3_LIBRARY=YYY \ -D PYTHON3_INCLUDE_DIR=ZZZ \ -D PYTHON3_EXECUTABLE=$VIRTUAL_ENV/bin/python \ -D BUILD_opencv_python2=OFF \ -D BUILD_opencv_python3=ON \ -D INSTALL_PYTHON_EXAMPLES=ON \ -D INSTALL_C_EXAMPLES=OFF \ -D BUILD_EXAMPLES=ON ..
BUILD_opencv_python2=OFF : This switch indicates that we do not want to build Python 2.7 bindings. This needs to be explicity stated in the CMake command. Failure to do this can cause problems when we actually run CMake. BUILD_opencv_python3=ON : We would like for OpenCV 3 + Python 3.5 bindings to be built. This instruction indicates to CMake that the Python 3.5 binding should be built rather than Python 2.7. PYTHON3_LIBRARY=YYY : This is the first value that you need to fill in yourself. You need to replace YYY with the path to your libpython3.5.dylib file. I will hep you find the path to this value in the next section. PYTHON3_INCLUDE_DIR=ZZZ : This is the second value that you need to fill in. You will need to replace ZZZ with the path to your Python.h headers. Again, I will help you determine this path. Take note of the output of this command — this is the full path to your libpython3.5.dylib file and will replace YYY in the CMake template above. Let’s move along to determining the PYTHON3_INCLUDE_DIR variable. This path should point to the Python.h header files for Python 3.5 used to generate the actual OpenCV 3 + Python 3.5 bindings. The output of the ls -d command is our full path to the Python.h headers. This value will replace ZZZ in the CMake template. Now that we’ve determined the PYTHON3_LIBRARY and PYTHON3_INCLUDE_DIR values we need to update the CMake command to reflect these paths. $ cmake -D CMAKE_BUILD_TYPE=RELEASE \ -D CMAKE_INSTALL_PREFIX=/usr/local \ -D OPENCV_EXTRA_MODULES_PATH=~/opencv_contrib/modules \ -D PYTHON3_LIBRARY=/usr/local/Cellar/python3/3.5.2_3/Frameworks/Python.framework/Versions/3.5/lib/python3.5/config-3.5m/libpython3.5.dylib \ -D PYTHON3_INCLUDE_DIR=/usr/local/Cellar/python3/3.5.2_3/Frameworks/Python.framework/Versions/3.5/include/python3.5m/ \ -D PYTHON3_EXECUTABLE=$VIRTUAL_ENV/bin/python \ -D BUILD_opencv_python2=OFF \ -D BUILD_opencv_python3=ON \ -D INSTALL_PYTHON_EXAMPLES=ON \ -D INSTALL_C_EXAMPLES=OFF \ -D BUILD_EXAMPLES=ON .. However, please do not copy and paste my exact CMake command — make sure you have used the instructions above to properly determine your PYTHON3_LIBRARY and PYTHON3_INCLUDE_DIR values. Once you’ve filled in these values, execute your cmake command and your OpenCV 3 + Python 3.5 build will be configured. Figure 7: Ensuring that Python 3.5 will be used when compiling OpenCV 3 for macOS. The Interpreter points to the Python binary in your cv virtual environment. Libraries points to your libpython3.5.dylib file. The numpy version being utilized is the one you installed in your cv virtual environment. In this case, I am supplying -j4 to compile OpenCV using all four cores on my machine. You can tune this value based on the number of processors/cores you have. OpenCV can take awhile to compile, anywhere from 30-90 minutes, depending on your system specs. I would consider going for a nice long walk while it compiles. Figure 8: Successfully compiling OpenCV 3 from source with Python 3.5 bindings on macOS. I’ve been perplexed by this behavior ever since OpenCV 3 was released, but for some reason, when compiling OpenCV with Python 3 support enabled the output cv2.so bindings are named differently. The actual filename will vary a bit depending on your system architecture, but it should look something like cv2.cpython-35m-darwin.so . Note: Take note of the -dev in the cv2.__version__ . This indicates that we are using the development version of OpenCV and not a tagged release. Once OpenCV 3.2 is released these instructions can be updated to simply download a .zip of the tagged version rather than having to clone down the entire repositories. Figure 9: Ensuring that I have successfully installed my OpenCV 3 + Python 3.5 bindings on macOS. Congratulations, you have installed OpenCV with Python 3.5 bindings on your macOS system! In this tutorial you learned how to compile and install OpenCV 3 with Python 3.5 bindings on macOS Sierra. To accomplish this, we configured and compiled OpenCV 3 by hand using the CMake utility. While this isn’t exactly the most “fun” experience, it does give us complete and total control over the install. If you’re looking for an easier way to get OpenCV installed on your Mac system be sure to stay tuned for next week’s blog post where I demonstrate how to install OpenCV on macOS using nothing but Homebrew. To be notified when this blog post goes live, please enter your email address in the form below and I’ll be sure to ping you when the tutorial is published. I have a question regarding using c++ opencv. Are we supposed to have a separate virtual environment for that? What is the proper technique for installing and using c++ opencv on mac os Sierra? -the cake commands etc, as well as how to compile the c++ code for opencv. Do you think you could do a tutorial on that? Currently I’m just using c++ opencv on a virtual environment created from the python 2 tutorial and it works but I am not sure that I’m doing things correctly by using a python virtual environment for c++. C++ doesn’t have a concept of a virtual environment in the same context as Python. 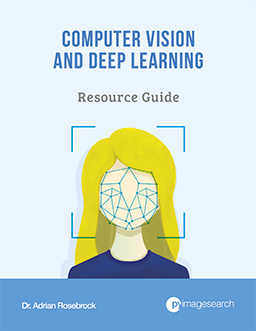 This guide demonstrates how to use Python with OpenCV bindings, but natively OpenCV is a C++ library. You simply compile it, install it, and then use gcc/g++ to link against it when compiling your C++ code. hello sir, i followed your steps until i update the .bash_profile after installing virtualenv . before when i used the line pip install virtualenv virtualenvwrapper it didn’t worked as its saying some exceptions . but however i installed by using pip install –user virtualenv virtualenvwrapper. now when i source the ,bash_profile i get -bash: /usr/local/bin/virtualenvwrapper.sh: No such file or directory . and also whenever i quit the terminal and reopen it i get the above line in the 2nd line. 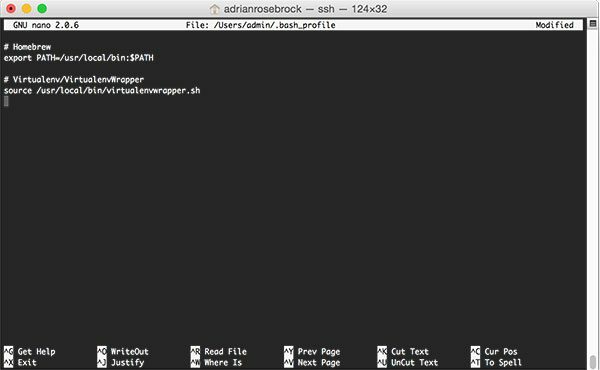 The reason you are getting the error each time you open a new terminal is because the ~/.bash_profile file is automatically loaded. Since virtualenv and virtualenvwrapper are not properly configured you are receiving the error. Which version of Python (2.7 or 3) are you installing OpenCV for? Glad to hear it Taka! Congrats on getting OpenCV installed on your system. From Step #5 on are we supposed to be in the virtual environment (cv) as in Step #4? I’ve just completed Step #6 and realised that I’m still in the virtual environment. If we’re supposed to exit the virtual environment before moving onto Step #5 will deleting and recreating the virtual environment get me back on track? Once you have entered the virtual environment you don’t need to leave it — you can stay inside it. Hello, i have a problem during the step 7, my librairy isn’t having the right path as I stupidly used YYY and now can’t change it, do you have any idea of how could I get the path to my dylib file ? Hey Tom — just delete your build directory, re-create it, and then re-run CMake with the correct path to your .dylib file. Thanks for this great tutorial! Everything worked well. What are the next steps to get OpenCV working in Pycharm 2016.3? Once you have OpenCV installed, please refer to this tutorial on configuring PyCharm. Hello Adrian, thank you for your thorough instructions. I followed your guide with the minor difference that for this specific application I did not want to work in a virtual environment. I made all necessary changes to PYTHON3_LIBRARY, PYTHON3_INCLUDE_DIR, PYTHON3_EXECUTABLE to point to the correct directories. What’s weird is that the cv2.cpython-35m-darwin.so was inside the OpenCV git repo instead of my local python site-packages folder. I renamed the .so file and placed it to the correct folder. This allows me to verify that opeCV is installed as in Step#10 above. I haven’t tested functionality yet, I’m about to start with one of your blog posts. I hope it will work. Hey Nick — did you forget to run make install? It’s normal to see cv2.so in your build directory prior to actually running make install. Thanks so much for your extremely helpful tutorial, I’ve been hoping you posted this blog for weeks! Just have one final question when I try to verify OpenCV 3 install on my macOS (Sierra), when I open up python3 IDLE and try to import cv2 function, I get error message “No module named CV2”. How do I go about using opencv3 module? Are you using the terminal IDLE or the GUI IDLE? Keep in mind that the GUI version of IDLE does not respect Python virtual environments. You should be using the terminal IDLE instead (and from within the “cv” virtual environment). IDLE and Python virtual environments are not compatible. Please use the Python shell from the command line or Jupyter Notebooks if you like the look and feel of IDLE. Hi Adrian, thanks so much for creating this site! I attempted to follow these instructions exactly, including the part that describes how to construct the CMake command, but am having trouble using functions from opencv_contrib. Double check your OPENCV_EXTRA_MODULES_PATH — it looks like the path you supplied to CMake was incorrect. Thank you for your response. The path was correct — I checked it a couple times. I suspect the build may have not fully completed although I didn’t see any obvious error messages. In any case, I pulled the latest changes and rebuilt everything (using the exact same CMake command) and this time it worked. Any sucess fixing this issue? Hi, I just made it work. It seems my cmake can’t find opencv_contri unless I trail the path with a ‘/’ (OPENCV_EXTRA_MODULES_PATH=~/opencv_contrib/modules/). Make sense since it’s a folder but even the README.md on GitHub doesn’t do that. The generated cv2.so file will have your opencv_contrib bindings in it. I checked out the above doc but am still unsure how to proceed. Any pointers? Ah, thank you SO much. That was driving me insane. I can confirm that this is the exact solution to the issue. I tried various fixes, mostly related to the matplotlib backend engine fixes, but none of them solved the issue. Simply downgrading worked like a charm, thank you very much! Fantastic, I’m glad to hear it Burak! Thank you SO much!! I never would have got this working without your tutorial! No problem Rob, I’m happy I could help. Hi Adrian, I follow exactly the same steps but Terminal return (-bash: pip: command not found) when I try to install virtualenv and virtualenvwrapper by this command in step 4: pip install virtualenv virtualenvwrapper. However, if I use pip3, it works. You can install virtualenv and virtualenvwrapper via pip3, that should work just fine. Although if you do, you might need to manually set the VIRTUALENVPATH. You should refer to the virtualenv and virtualenvwrapper documentation for more information on this. I also needed to set python3 for virtualenvwrapper, it is trying to use python otherwise. I can confirm that this was REQUIRED for sourching virtualenvwrapper, which, without this bit, would try the system python2.7. or run this on my terminal? I would suggest doing this in your .bash_profile so the export is executed each time you open up your terminal. Hi, how do I manually set the VIRTUALENVPATH? Thanks. What do you mean by “manually” set it? You can use the “export” command as mentioned above. After updating to Sierra your tutorial worked well on my mac. Thank you! cmake -D CMAKE_BUILD_TYPE=RELEASE \ -D PYTHON3_EXECUTABLE=$(which python3) \ -D PYTHON3_INCLUDE_DIR=$(python3 -c "from distutils.sysconfig import get_python_inc; print(get_python_inc())") \ -D PYTHON3_LIBRARY=/usr/local/Cellar/python3/3.5.1/Frameworks/Python.framework/Versions/3.5/lib/libpython3.5.dylib \ -D PYTHON3_LIBRARIES=/usr/local/Cellar/python3/3.5.1/Frameworks/Python.framework/Versions/3.5/bin \ -D PYTHON3_INCLUDE_DIR=/usr/local/Cellar/python3/3.5.1/Frameworks/Python.framework/Versions/3.5/Headers \ -D PYTHON3_PACKAGES_PATH=$(python3 -c "from distutils.sysconfig import get_python_lib; print(get_python_lib())") \ -D INSTALL_C_EXAMPLES=OFF -D INSTALL_PYTHON_EXAMPLES=ON \ -D BUILD_EXAMPLES=ON \ -D OPENCV_EXTRA_MODULES_PATH=~/opencv_contrib/modules ..
it seems to have worked and detected the python libraries, i’ll try finishing your tutorial and will see how it goes! Awesome, thank you for sharing Jurgis! By the time I was trying this tutorial, Python is in version 3.6. At Step 10 to verify OpenCV3 install, nothing appears after the command import cv2. Nothing appeared out of the ordinary in earlier steps. Any clue ? What do you mean by “nothing appears after the command import cv2”? Does Python crash? Do you get an error message of some kind? How would I go about uninstalling OpenCV if I installed it via this method? Remove all OpenCV-related files (you’ll see OpenCV in the filename) from /usr/local/lib. Thanks for your tutorial! I think I managed to get it installed and am looking forward to follow the rest of your tutorials. Cheers! I run as a non-admin user on OSX. Does this install work for that? I temporarily run as root in the terminal when setting things like this up, as you almost always need root access. After setting up as root, will everything work for my standard user account? Once you compile and install OpenCV you will no longer need root access. This tutorial will work with Python 3.6 as long as you update the CMake command to point to your Python 3.6 files. Hey, do you have any ideas on how could I do to link my python openCV with anaconda not to work with the console anymore ? thanks for the great work ! What do you mean by “not to work with the console anymore”? Hi Adrian, I have installed Opencv for python 2.7 using your post(https://www.pyimagesearch.com/2016/11/28/macos-install-opencv-3-and-python-2-7/) It worked great. Currently I also want to install opencv for python3. How can I install it ? 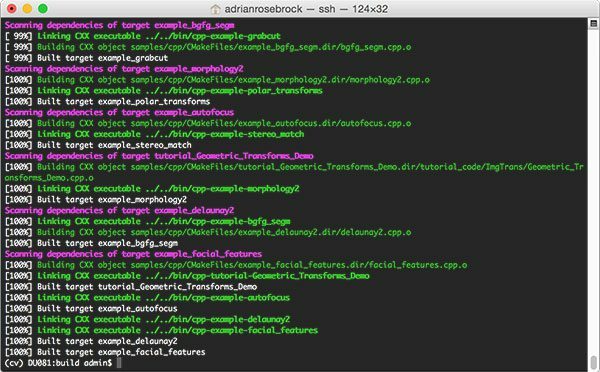 as in do I need to compile using a fresh opencv download to a folder different than ~/opencv ? You would need to create a new “build” directory, create a Python virtual environment for Python 3, run CMake, compile OpenCV, and then move the cv2.so file into your site-packages directory. Thank you so much, I finally got OpenCV with python3.6. Thanks for the great tutorial! I followed it and was able to get OpenCV working, until I encountered a strange error. I had been able to use VideoCapture no problem until I recently transferred everything over to a new hard drive. I copied over everything so it should ostensibly work the same. However, now OpenCV is unable to use VideoCapture and returns error: (-215). It sounds like it could be a ffmpeg issue, but any ideas how to fix it if I followed your installation tutorial? That is quite strange, but since you’re on new hardware you might want to consider simply re-compiling OpenCV. That would be my main suggestion to resolve the issue. Not sure what went wrong, but sure enough re-compiling did the trick! Fantastic, I’m happy to hear re-compiling worked! is there a way to make it work without virtual environment? Are you trying to compile and install OpenCV without a virtual environment? Or access the OpenCV bindings from outside the virtual environment? I was able to install opencv in cv virtual environment successfully. However, i’d like to be able to import cv2 outside the specific virtual environment, in spyder or jupter notebook. How do I go about doing that? Thank you so much for your assitance. Did you install the cv2.so file into the global site-packages for Python? If so, just install NumPy outside the virtual environment via $ sudo pip install numpy and you should be able to import OpenCV outside the Python virtual environment. 1. At the end of step 7, you say, “As an example, take a look at the Python 3 section output from my configuration:” – what is the command to access these config settings? 2. In what directory do I run the “make -j4” command? 1. Take a look at the output of “CMake”. 2. You should run the make -j4 command in the build directory after CMake has (successfully) ran. on step 2 – I installed & builded the nano text editor. Then , you say “Save & exitor the editor followed by source …”. My question is how to save ? In case that I press (cmd + S), it will guide me to Save a something.txt file in the Documents file. but in my case I have 2 core system. Should I run $ make -j2 ? Correct, if you only have 2 cores on your system you should run make -j2. Hi Adrian, thank you very much for this tutorial. I completed it and I’m so happy about it. I’ d like to ask you what would be the next step. I’m not sure what you mean by “it didn’t work”. Did you receive an error message of some kind? I just needed to install scipy in the working environment (cv). Ok, so first of all: thnx for this amazing tutorial and the time you obviously devoted to it! For me the worst challenge was to get OpenCV installed for my native python3.4 install on macOS 10.12.3 (there is a tutorial for this on your website as well, but it uses Homebrew which in turn automatically installs Python3.6 while I really need 3.4 for other reasons). But anyways, got that solved. Then some small adaptions where needed but those are already mentioned in the earlier comments. This will allow you to resize the outfit to fit your screen. I used 600 by 600 pixels as an example but off course one could also write a function to downscale the output to a minimum size while maintaining the original proportions. Thanks for the comment Sjoerd. Out of curiosity, which images were you trying to display that were too big to display to your screen? I normally try to keep the result images smaller for this reason. I used the following cmake and it worked properly. you have to adjust it with your setup eventually. cmake -D CMAKE_BUILD_TYPE=RELEASE \ -D PYTHON3_EXECUTABLE=$(which python3) \ -D PYTHON3_INCLUDE_DIR=$(python3 -c "from distutils.sysconfig import get_python_inc; print(get_python_inc())") \ -D PYTHON3_LIBRARY=/usr/local/Cellar/python3/3.6.0/Frameworks/Python.framework/Versions/3.6/lib/python3.6/config-3.6m-darwin/libpython3.6.dylib \ -D PYTHON3_LIBRARIES=/usr/local/Cellar/python3/3.6.0/Frameworks/Python.framework/Versions/3.6/bin \ -D PYTHON3_INCLUDE_DIR=/usr/local/Cellar/python3/3.6.0/Frameworks/Python.framework/Versions/3.6/Headers \ -D PYTHON3_PACKAGES_PATH=$(python3 -c "from distutils.sysconfig import get_python_lib; print(get_python_lib())") \ -D INSTALL_C_EXAMPLES=OFF -D INSTALL_PYTHON_EXAMPLES=ON \ -D BUILD_EXAMPLES=ON \ -D OPENCV_EXTRA_MODULES_PATH=~/opencv_contrib/modules .. Thank you so much, Thibault!!! Thank you for sharing Thibault and Misha! I will create another tutorial for Python 3.6 + OpenCV 3 in the future. I failed when install python 3.6 + opencv 3 with fatal error. This worked for me on my MAC, thank you! 1, I don’t have a python file in the Cellar (I used my own python3.5 without using homebrew) . Can you help me fix it? Thanks a lot! You need to replace “YYY” with the actual path to your Python library. I could not see any obvious error at the cmake stage (output here http://pastebin.com/3Qc8kYVV). Instead, I tried building against the latest ‘master’ build for opencv and opencv_contrib (3.2.0-332-gc1007c7). When doing this, I encountered the following problem (https://github.com/opencv/opencv/issues/8129); the instruction to disable freetype solved that problem and I was able to compile successfully. It sounds like CMake might have compiled OpenCV with Python 2.7 support rather than Python 3. Go back to the CMake step and check which bindings are being compiled. I get this warning when I run brew linkapps. Should I be worried? Nope, everything is okay. You can ignore the warning. Will this also work for python 3.6? Yes, simply update all Python 3.5 paths to be valid Python 3.6 paths. After that, when I run make -j8 , it gives me errors. How can I solve it? Either your PYTHON3_LIBRARY or PYTHON3_INCLUDE_DIR is incorrect. Double-check them per the instructions I have included in this guide. When I am trying to use the command ‘make-j4’ command, I get this error. Your CMake command likely exited with an error. Go back to the CMake step, look for the error, and then resolve it. The CMake command is used to generate the Makefile required to build OpenCV. Woohoo! I got it working with OpenCV 3.2.0 on Python 3.6.1.
cmake -D CMAKE_BUILD_TYPE=RELEASE \ -D PYTHON3_EXECUTABLE=$(which python3) \ -D PYTHON3_INCLUDE_DIR=$(python3 -c "from distutils.sysconfig import get_python_inc; print(get_python_inc())") \ -D PYTHON3_LIBRARY=/usr/local/Cellar/python3/3.6.1/Frameworks/Python.framework/Versions/3.6/lib/ \ -D PYTHON3_LIBRARIES=/usr/local/Cellar/python3/3.6.1/Frameworks/Python.framework/Versions/3.6/bin \ -D PYTHON3_INCLUDE_DIR=/usr/local/Cellar/python3/3.6.1/Frameworks/Python.framework/Versions/3.6/Headers \ -D PYTHON3_PACKAGES_PATH=$(python3 -c "from distutils.sysconfig import get_python_lib; print(get_python_lib())") \ -D INSTALL_C_EXAMPLES=OFF -D INSTALL_PYTHON_EXAMPLES=ON \ -D BUILD_EXAMPLES=ON \ -D OPENCV_EXTRA_MODULES_PATH=~/opencv_contrib/modules ..
One step that was different in my case. I did the cmake and install step while I was still in the (cv) virtual environment and the .so file was already installed in ~/.virtualenvs/… so all I had to do was browse to there and rename it as shown. Thanks, this tutorial was excellent and taught me a lot in the process! Thank you for sharing Alkasm! And that’s the only line for Python 3. It still couldn’t find the PythonLibs. What is it that I’m doing differently? but it much easier than set up opencv on my computer !!!! All I want u to know is u are a good teacher, I’ll share this blog with my classmates. Hi Adrian, many thanks for your great quality posts, I have been following several of them and learning a lot! 1. The first problem I faced was the inability of cmake to download the correct icv file. After some time downloading, it interrupted the process saying the file downloaded was different from the one expected. I searched around and found out that this is due to cmake being built with an old curl version, installed by default in the mac, that doesn’t support ssl. But using brew would install the newer ssl-supporting curl version only as a keg, not linked. Therefore you have to link it manually to /usr/local/ carefully, all the files in the folders include/, lib/ and bin/. 2. Except that when using the cv2 library inside my cv environment and I executed cv2.imshow for example (I was following your cat faces tutorial) it did not open any gui window. I wonder what options has to be passed to cmake to enable gui? 3. I also followed your post of installing ocv3 using brew directly, and again this time when using imshow there was a reply of “init done opengl support available” but not gui window opens. I made sure to install gtk, qt, etc. But something is wrong in my arguments to cmake probably? Hi Jose — regarding cv2.imshow you need to place a call to cv2.waitKey(0) immediately after in order to display the image to your screen. Hey Adrain. So I just completed your tutorial and installed opencv 3.2 successfully, or so I thought. So when I try to display an image with Im show all I get is the title bar of the window. I have even posted it on stack overflow with no avail. Here’s the link to my question/problem on stackoverflow. I tried imread and imwrite they however, seem to work. That is indeed some strange behavior. Can you do print(image.shape) and let me know the output? It seems for some strange reason that OpenCV isn’t loading your BMP image. 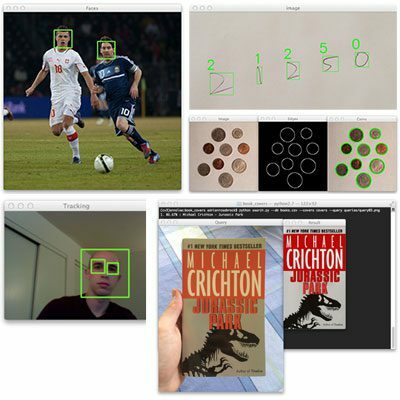 I’ve successfully installed OpenCV 3.2.0-dev with python 3.6.1 by following your tutorial! Should I delete ~/opencv and ~/opencv_contrib after all these steps? Thanks! Yes, once OpenCV has been successfully installed you can delete the opencv and opencv_contrib directories. It really depends on your IDE. My main suggestion would be to use PyCharm which has a lot of built-in tools for this type of debugging. Thanks for this fantastic tutorial, I followed everything in this tutorial and they worked perfectly. 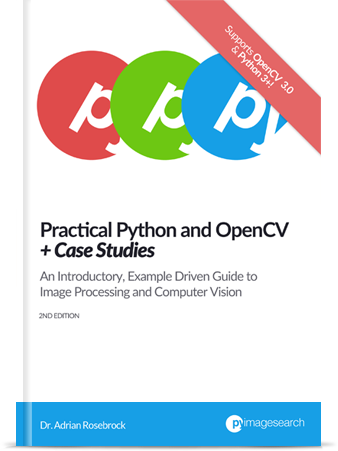 I just bought your book practical python and opencv. And trying to test the code given, however, cv2.imshow() function doesn’t seem to work anywhere, it’s only showing the top bar, not event a black or grey background, just a topbar. Please help, currently, i have to use imwrite function to check if my codes are working correctly. OpenCV: The current github version, at June 16 2017. Which i’ve got no idea how to check the version code. I get the impression that the development branch of OpenCV might have a bug in it. Quick question: Where do I put my C-make template? I’m at Step 7, and I’m confuse because I don’t see where do I put my Cmake template or how to execute it. Congrats on resolving the issue, Andrew! Hi Fohlen — I actually cover how to install OpenCV via Homebrew, including some of the problems you might run into, in this post. Make sure you are in the “cv” virtual environment and that you properly created the Python virtual environment using the -p python3 switch. From there, delete your “build” directory, re-recreate it, and re-run CMake. Thank you so much Adrian for this insightful guide. I have been trying to install OpenCV for about a week, but am encountering the same problems. Virtualenvwrapper, for some reason, is not recognized, and neither is the dylib file, which is cannot be found. How do I fix this? Hi Jonah — it’s hard to say what the exact problem is. I would run pip freeze to verify that both virtualenv and virtualenvwrapper have been properly installed. Also double check that your ~/.bash_profile file was updated correctly. Hi Adrian, I used your tutorial to install opencv-3.2.0-dev with python 3.6. I am using it on mac os sierra. I used opencv to read and show the image. But I am getting a window created but nothing is getting displayed in that window it’s blank. Am i getting it wrong somewhere. This is actually a known issue with the current development edition of OpenCV and macOS — the GUI/window functionality will not work. You will need to use the tagged 3.0, 3.1, or 3.2 release for macOS until the issue is resolved. Did you have both MacPorts and Homebrew installed on your machine? If so, that is likely the cause of the vast majority of your issues. You normally choose one or the other, not both. Having both installed can really mess with your $PATHs. thank you for all. I do not understand all the commands made 😉 but it works fine. Just a remark, concerning the use of “pip”. On my MacBook Pro late 2015 I was in front of a problem solved by the url below. There was a trouble on the command “pip install virtualenv virtualenvwrapper”. An installed version is failing the previous command. The solution is to use the “–ignore-installed six” option. “Traceback (most recent call last): File “”, line 1, in ModuleNotFoundError: No module named ‘cv2′”. Could this be related to the Step 7’s input? If so, is the fix to delete the build and start from the build directory again? Hi Anthony — there are a variety of reasons why the “cv2” module may not be found. Are you in the “cv” virtual environment? Did you double-check your CMake output to ensure that the “python3” module was in the list of modules to be compiled? Last night I was able to work through the tutorial successfully with the latest versions of Python 3.6.2 and openCV 3.3. Command Line Tools (Xcode 8.2). It is very important you downgrade the CLT. The current version of the CLT does not support CUDA 8.0.61. If you don’t do this you will not successfully build. The build will take a long time ( > 1 hour). It will unexpectedly pause, mine did around 87%. Be patient. Do not abruptly end this build. It will finish. Hi! Thanks for the precious tutorial, it really helped a lot. Everything works great, aside from the fact the importing cv2 only works from a python console started within the folder where cv2.so is. Is there any way to make it accessible globally? 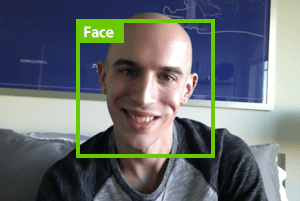 Hi Francesco — congrats on getting OpenCV installed. You should be able to access the cv2 bindings anywhere on your system as long as you are in the “cv” virtual environment. It sounds like you may have missed the sym-link step and/or you are not in the “cv” virtual environment. Pip should already be installed on your system. Whenever I run ‘source ~/.bash_profile’ after installing virtualenv and virtualenvwrapper following error comes. Which Python version are you trying to use? Python 2.7? Or Python 3? I was able to install OpenCV 3.3 and it is running fine. But I want to ask how to use Xcode to write code for python. 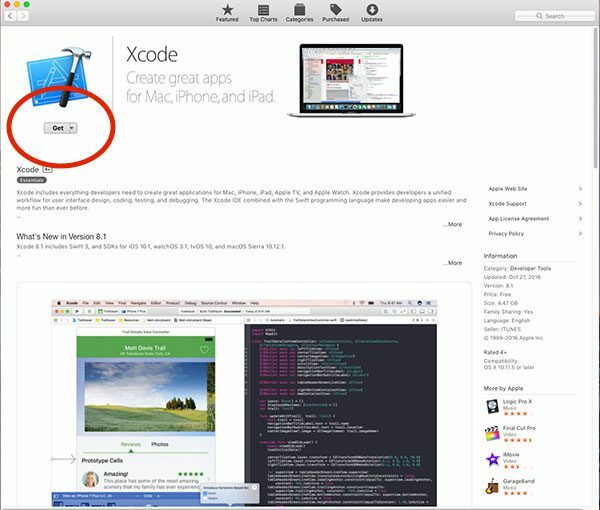 You can use Xcode to write Python code; however, I do not know if Xcode supports Python virtual environments. If you’re intending on writing Python code I would highly suggest that you use the PyCharm IDE. Just one last thing, how to configure Pycharm IDE so it recognises cv2 ? I have same error in Python 3.6, any suggestion? Which Python version are you trying to use when installing OpenCV? Python 2.7? Or Python 3? Hmm, are you using a bash shell? This StackOverflow thread might be of help. which was the path in my case, reran cmake and make, and it built cleanly. I have installed Opencv 3 and I am using it with python for about month. But I want to try it with C++ (with Xcode) now, so what should I do to use the previously installed version of opencv 3. I am using macOS high sierra and Xcode 9. 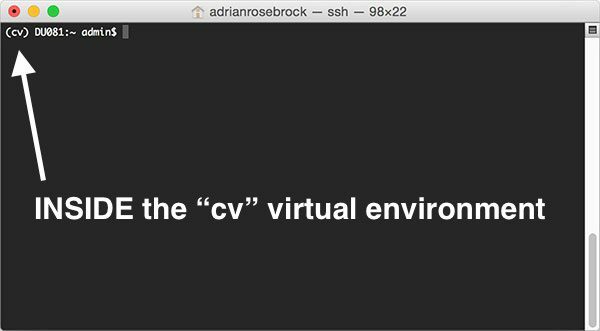 Hi Brian — can you confirm you are inside the “cv” virtual environment before run “cmake”? Secondly, I put together a self-configuring CMake command in this blog post. I would suggest you give that a try as well. I just have a quick question. Still a newbie here. So, I followed all the steps and got the cv2.so. When I do workon cv and I try importing cv, I must have the cv2.so file inside the particular folder I am working in. Maybe I missed a commentary somewhere but is that normal? So for example, if I switch to d folder inside My Document and try import cv2, it would not work until I copy over the cv2.so file inside. Again, sorry if I missed anything but again, is this normal? Thank you. This is not normal and is likely due to missing the sym-link step in Step 9. 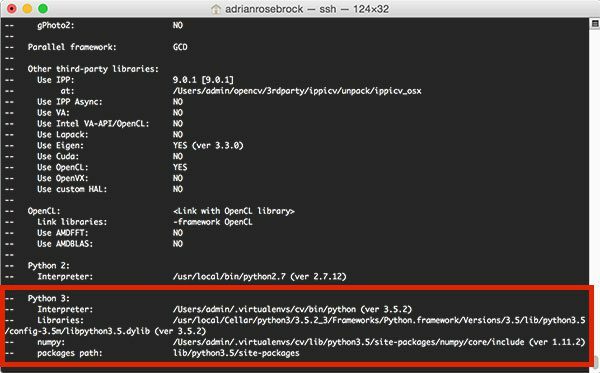 Go back to Step 9 and ensure the sym-link is created from your cv2.so file to the “site-packages” directory of your Python virtual environment. Once the sym-link is created you’ll be able to import your OpenCV bindings regardless of which directory you are in. Was successfully able to install OpenCV 3.3.1-dev, python-3.6.3 on my Mac OS X Sierra. Here is my CMake File. cmake -D CMAKE_BUILD_TYPE=RELEASE \ -D CMAKE_INSTALL_PREFIX=/usr/local \ -D OPENCV_EXTRA_MODULES_PATH=~/opencv_contrib/modules \ -D PYTHON3_LIBRARY=/usr/local/Cellar/python3/3.6.3/Frameworks/Python.framework/Versions/3.6/lib/python3.6/config-3.6m-darwin/libpython3.6.dylib \ -D PYTHON3_INCLUDE_DIR=/usr/local/Cellar/python3/3.6.3/Frameworks/Python.framework/Versions/3.6/include/python3.6m/ \ -D PYTHON3_EXECUTABLE=$VIRTUAL_ENV/bin/python \ -D BUILD_opencv_python2=OFF \ -D BUILD_opencv_python3=ON \ -D INSTALL_PYTHON_EXAMPLES=ON \ -D INSTALL_C_EXAMPLES=OFF \ -D BUILD_EXAMPLES=ON ..
And rest of the steps as mentioned by our beloved and true hero, Adrian! Hi Chad — I am using “normal” Sierra, not High Sierra. I’ll be writing a separate blog post for High Sierra, but in the meantime you can use my self-configuring CMake command in this post. Did you have this issue and do you know how to fix it. so I’m trying to go through this guide, but my laptop fails to output the /usr/local/bin when I enter ‘which python’ in the terminal. I had a look at stack overflow (https://stackoverflow.com/questions/5157678/python-homebrew-by-default) but nothing of the recommended solutions worked for me. It does output the right path for python3.6, but not for python 2.7. I’m sorry to bother you with this simple error! You will get the correct output. ls /usr/local/Cellar/python3/3. */Frameworks/Python.framework/Versions/3.6/lib/python3.6/config-3.6m/libpython3.6.dylib returns “no such file or directory”. As a result, once I execute the cmake command, I get “NO” for libraries. Any thoughts on what might be going wrong? Thanks in advance. as well as the one in this blog post. Did you install Python via Homebrew? Did it install successfully? Use the “ls” command with auto-completion to help you derive the path to your Python libraries. Your path could be slightly different of mine depending on the major and minor version number of Python (since they are built into the path). The reason you’re getting “NO” for the libraries is because your Python path is incorrect. You do not have to but it is a best practice when using Python. How can I include it in the build? Thanks in advance. I was trying to install this on my macOS, but it was not working by giving my PythonLibs not found whenever I would follow the path “/usr/local/Cellar…/libpython3.6m.dylib” but when I changed it to /Library/Frameworks…/libpython3.6m.dylib” it worked. Is this alright? I got the path of my library from sys.path. Thanks for your detailed tutorial. Unfortunately, when I run the CMake command, it exits with errors. By opening the error log, I assume C++ 11 isn’t supported on my system although I have Xcode installed. I also tried installing gcc, but that seemed quite a challenge as well ! I really appreciate this amazing tutorial. However, I have been encountering many errors – even after searching online, using pip3 and python3 for the latest versions, making sure every detail is correct, repeating everything over 7 times by uninstalling and installing homebrew – but to no avail. May I ask that you please create a new tutorial based on the new python 3.6 and mac HighSierra? I, as well as many, would really appreciate that. till this point everything installed correctly. For whatever reason it looks like the Python headers are not installed on your system. Did you install both Xcode and Homebrew? No worries at all, Romain. Congrats on resolving the issue. I can’t thank you enough! best wishes dude! you made my day. that moment when I sew import cv2 work on Mac!!! I’m new to OpenCV and get stuck at step #7… When I do “ls -d /usr/local/Cellar/python3/3. */Frameworks/Python.framework/Versions/3.5/include/python3.5m/”, it prompts “No such file or directory”. So I cd into “/usr/local/Cellar/”, and found that there is only folder name “python” but no “python3”. Inside of “python” folder, there are 3.6.4_4 and 3.6.5. I did install python3 using brew. So how can I find the right path to libpython3.5.dylib? I’m not sure which one would be your Python 3 install. Try using “3.6.4_4” and if the “Python 3” section of “cmake” is not correctly filled out then go back and use “3.6.5”. I continued until step #9 were I used the ls -l command in site-packages folder because there is no file named cv2.cpython-35m-darwin.so in it. Nothing like it. Ignore the “Python (for build)” section — it’s buggy. Instead, just ensure your “Python 3” section is correctly filled out. Also, check your “build/lib” directory after you finish running “make”. Your OpenCV bindings should be in that directory. A last suggestion would be to check your output from “cmake”, in particular the list of modules to be compiled. You should see “python3” listed as one of the modules. Thank you for your work! its great! Thanks allot I already got my hands on some Average face scripts for my graduation project! Congrats on resolving the issue, Joep! And best of luck with your graduation project. 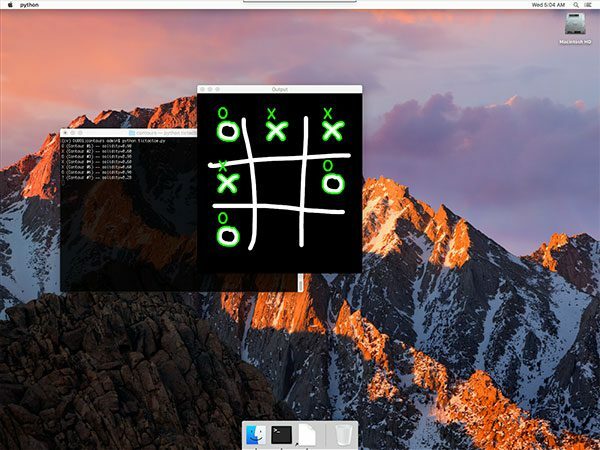 Let’s go to image processing on mac, and pi, and ..
i did the exact thing bro. it worked out . You can use brew link python to link this version. Should I link it and why? To check the path (as we do in the blog post) to ensure it’s the Homebrew install vs. the system install of Python. Hey Adrian, I have followed your tutorial but in the last step i am having trouble. This I know is because i tries the installation once before with some error so the file from previous time exist. How should I remove it. You can use the “rm” command to remove a file from your system. I’m having an issue with Step #4. Since I’m using python 3 (stored in: /usr/local/bin/python3), I installed pip via: python3 get-pip.py (note: using “python3”), and therefore I only have pip3 on my machine (not pip). In step #4 when I run pip3 install virtualenv virtualenvwrapper, it successfully downloads, but virtualenv appears to gets stored in: /usr/local/lib/python3.7/site-packages, NOT /usr/local/bin. Do you have any recommendations on this? any thoughts why this is not in the same dir as yours (/usr/local/bin)? It should work. Secondly, keep in mind the “bin” directory is for binaries and the “lib” directory is for “libraries” so your directory structure makes sense. I have installed python 3.7 and it is showing no directory found. Hey Sarthak, I would advise you to this updated macOS + OpenCV install tutorial. Additionally, you may be able to pip install opencv. Mmm everything seemed to be going OK until after step 9 I checked to see if it all worked. Symlink seemed to work OK? 2. Using a pip install of OpenCV.